If you have somewhere around $6,500 in your pocket every month to doll over to the landlord for rent, then—in a variety of neighborhoods in San Francisco—this is what you’ll get for your money. Sfcurbed.com put together this current exploring of money-to-digs ratios. Starting over in the Mission Bay area, there’s a condo that will set you back $6,400 a month. It’s on the compact side, with a total of 1,100 square feet, yet has dovetailed in here and there two bedrooms and two baths. Amazing. But no pets, please. In the Outer Richmond neighborhood, there’s a $6,500 monthly price for a single family home that was built in 1923. It’s newly renovated, and boasts three beds, three baths amid a grand total of 2,300 square feet. The rental includes a garage and a backyard, but no pets again. And in the region of Russian Hill, $6,500 will fetch you a 1,450 square foot “flat” right on Lombard, with two bedrooms and two baths. 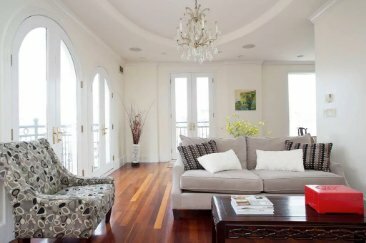 Pluses are hardwood flooring in all the main rooms, and balconies in the living room. It is furnished and pets are welcome.